'Alice in Wonderland' is a completely delightful and, at times, utterly terrifying tale! 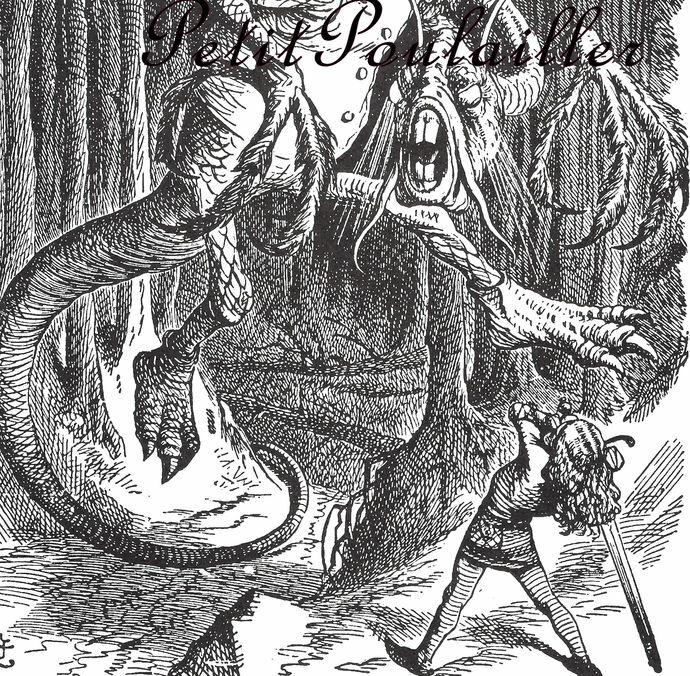 Here is a wonderful illustration of the dreaded Jabberwock from Sir John Tenniel gleaned from a damaged a 1983 children's book illustrators reference book. Tenniel's classic work was originally included in the 1865 edition of the Louis Carroll classic. 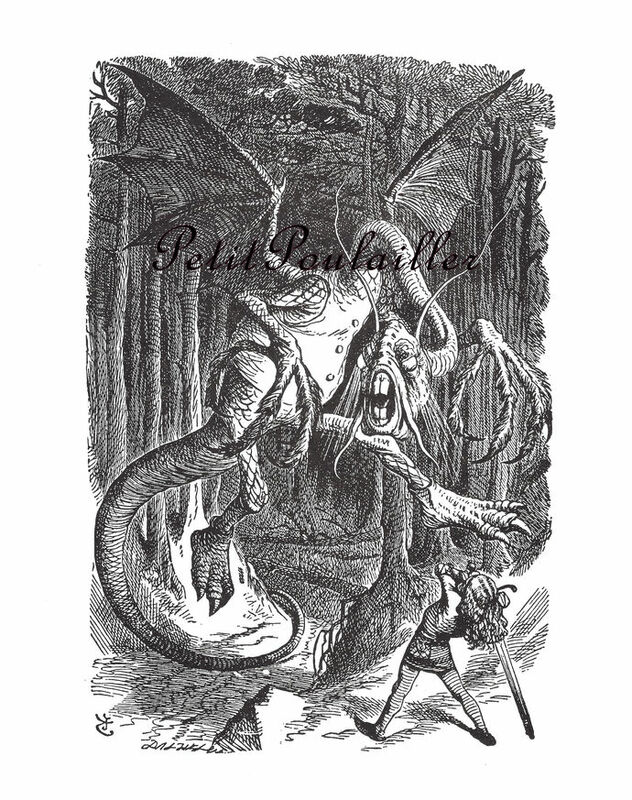 In Tenniel's illustration, the Jabberwock is a large winged chimera with the body of a dragon, a whiskered, fish-like head, insectile antennae and a pair of talon-like hands on both its arms and its wings, which may also serve as forelegs when it walked on the ground. It also wears a vest. It presumably lived within a place known as the Tulgey Wood. Yikes! The heavy paper measures 8.25" x 10.625" [21x27 cm], shows a light tanning, and is smooth and clean with no tears, folds, creases, or marks. The black and white lithography is bold, clear, and crisp. A wonderful image for your art - card and tag creations, scrap-book page making, collage. Perfect to frame and gift for a brave young reader's room.